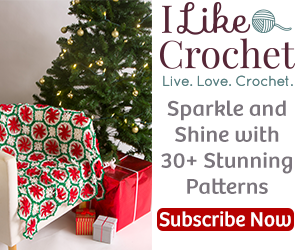 CLICK ON PHOTO ABOVE FOR FREE PATTERN! Still chillin over here in Michigan and wishing we could just push through this winter at warp speed! but in the meantime, we may as well keep with the makes that go along with the cooler weather. I started playing with scarves, quite a bit over the winter, it started with the whole pooling phase. As I worked with different stitches, I found that something I never thought I’d have interest in working up, the scarf, could actually be a lot of fun! Not that I haven’t made a scarf before, I just hadn’t considered creating a scarf pattern, or 2 or 3! The last couple of years, dress scarves have been my accessory of choice, so, it only seemed natural to make some of my own… now, I’m on a roll and having maybe just a little toooooo much fun! My latest design, the Wonderland Garden Infinity, is somewhat inspired by the last dress scarf I released just weeks ago… The Archway Infinity. They are not the same in design, but they share a couple of commonalities. I haven’t worked with the puff stitch in a while and after playing with it a bit, I stumbled upon a design I have absolutely fallen in love with and I hope you do too! My personal yarn of choice for Wonderland Garden Infinity Scarf was the Red Heart Unforgettable yarn. It’s nice, soft & offers such a pretty sheen… Just beautiful. In addition to it’s qualities, it produces a year round accessory, so you don’t have to just limit yourself to the brrrrrrrr winter with this accessory! Now, I realize that Unforgettable is not everyone’s yarn of choice, as a matter of fact, it can be a downright royal pain in the you-know-what if you have to make a correction! I just love the way it works up though, and the finished look is gorgeous. Any lightweight yarn you choose will work beautifully with this pattern. Anyhow folks, I will get on with the show already. I hope you enjoy this scarf as much as I did. I have worked up both a written along with a full video tutorial for those who prefer to work along. Once you get going with the pattern, you will find yourself speeding through it. It’s a quick work up, all the way to a 68″ – 72″ infinity! I would LOVE to see your final workups of the scarf if you choose to give this pattern a go. You can post it in our group, or on our YarnWars page or if you would like for me to include it in my yarn friends makes, you can also email it to me at yarnwars@gmail.com. As always, the YarnWars Facebook Group houses all of our patterns in downloadable/printable pdf, so if you aren’t a member yet, swing on by! YarnWars is not just any old group, it’s a place for yarn crafting friends from all around the world to come together, inspire, support & learn from each other… I must give a shout out & a HUGE thank you to my most aMaZiNg co-admin, Jeri Bernstein- Furrey! She is a rock in that group, constant in her efforts to help make the YarnWars group a place we can all be proud of. See you soon my friends! Happy Yarning!